The listed price includes installation service of YOUR own UltraHDMI kit on YOUR console. Complimentary services include interior case and motherboard cleaning, cart slot cleaning, full inspection of motherboard, LED color swap, slot tab removal. Optional RGB amp installation for supported NS1 consoles. The listed price includes one UltraHDMI kit + installation service on YOUR console. All complimentary services included as with 50$ option. Optional RGB amp installation for supported NS1 consoles. What is estimated turnaround time for install service? Typical time for installation is 2-3 weeks depending on position in installation queue. Optional rush service can be added for "head of the line" queue position for estimated turnaround time of 3-4 days. Can installations be performed on JAP or PAL N64? YES, BadAssConsoles has already performed several hundreds of installs on N64s from all regions since the UltraHDMI design provides a universal install method. My N64 is set up to allow overclocking, will it still be compatible with UltraHDMI? YES, overclocked N64s are compatible and will not affect UltraHDMI. My N64 has some scratches, can you make it look almost new again? The N64 console has a textured ABS surface that presents challenges when trying to remove scratches. Some light scratches can be removed. Is UltraHDMI compatible with an existing RGB installation? 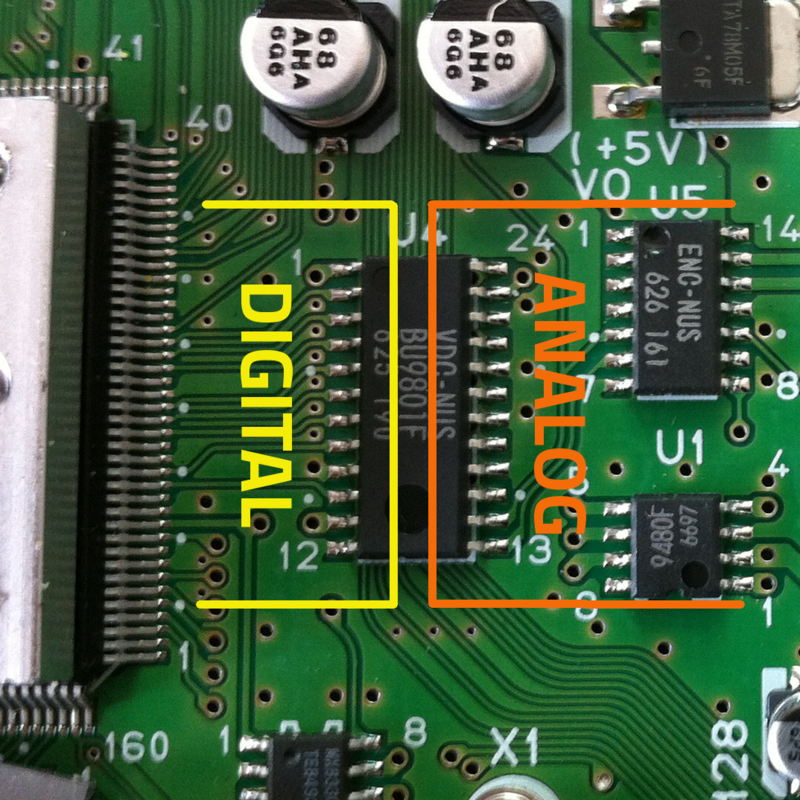 There are two version of RGB installations: Digital to Analog board and Analog RGB amp. UltraHDMI uses digital data input as well as other Digital to Analog RGB modifications. There has been evidence provided to show interference across the data lines which corrupt data transmission. This corrupted data can result in a failed firmware upgrade which will "brick" UltraHDMI. Per creator of UltraHDMI, Marshall does not recommend multiple devices sharing the digital signals. Any existing Analog RGB amp installation is compatible if the wiring method / wire routing does not obstruct the UltraHDMI flex cable or the designated PCB location. Where is BadAssConsoles located so I can estimate shipping costs? Do you have a recommended shipping method within USA? USPS medium flat rate is about $14.00, however, you are free to use whatever shipping method you wish. You may also wish to consider a shipping method which includes Tracking Service. Signature Confirmation is also acceptable if you have a special edition N64 or just wish to have the added security of Signature Confirmation. Do you have a recommended shipping method from USA to overseas locations? USPS International rate is typically about 35$ to most locations which includes average 10 day delivery and International Tracking number. Is there a waiting list or pre-order list for UltraHDMI? Lists are never a good idea. Everyone wants to be on a list but lists never go as planned. People tend to want to know updates on their placement in the list, people are never happy with their placement on the list, lists scare people away if there are to many on the list, and the most important of all: dead-beat slot holders. If someone on a list doesnt have the funds immediately available when their time comes should they be moved to the back of a list even if they will have the funds the next day making them have to wait all over again? Should they remain on at the top of the list and be checked for daily if funds are available giving more time for them to stay on the top of a list so they can purchase only when they are finally ready to pay? Should anyone on a list be forced to prepay just to hold a slot and wait for however long it takes for product to become available again? There are to many complications involved with lists. Best approach would be when UltraHDMI is physically in stock, the product listing will be updated and purchases can be made. This is the most fair approach to avoid any of the possible situations mentioned above. Can I purchase UltraHDMI by itself without installation? Per Marshallh @ http://ultrahdmi.retroactive.be/ UltraHDMI is only sold to installers. It is also up to the installers to set a price for service. All installers are repsponsible for ensuring a proper and correct console installation, not Marshallh. Therefore, the installer is responsible for all UltraHDMI sold under them. What does this mean? It means the installer is responsible if the buyer screws up on a self-install. At this time, BadAssConsoles is not ready to be held responsible for failed self-installations. However, since the direct cost of the UltraHDMI kit itself is about $140 USD, then paying the minimal price of $200 for the UltraHDMI kit + installation and validation should be an appealing set price to know the kit will be professionally installed and come with a guarantee that your console will arrive in proper working order.